Following Russia’s illegal occupation of Crimea, the crisis in Ukraine has shifted to the country’s east. Russian President Vladimir Putin justified as necessary the seizure and annexation of Crimea because “the Russian speaking population [in Crimea] was threatened and that the threats were absolutely specific and tangible.” He now uses the same language in speaking about southern and eastern Ukraine. 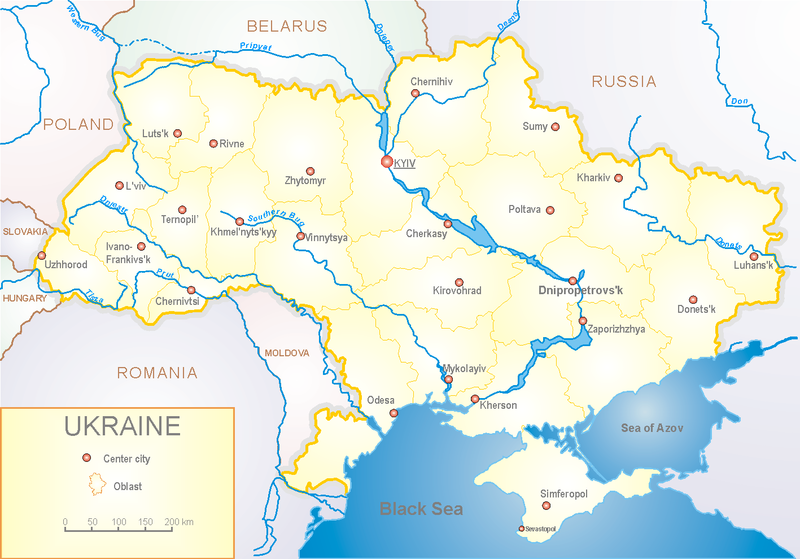 Do Ukrainians – including ethnic Russians and Russian-speaking ethnic Ukrainians – in the country’s east and south believe that their rights and interests are endangered? Recent polling done in those areas, the oblasts (provinces) of Odesa, Mykolayiv, Kherson, Kharkiv, Luhansk, Dnipropetrovsk, Zaporizhzhya and Donetsk, paint a different picture from what Mr. Putin describes. The polling project, carried out from April 8-16 by the Kyiv International Institute of Sociology (KIIS), revealed a far more diverse region than the pro-Russian monolith that is commonly portrayed in both Russian and Western media. The polls show that, while many in the east and south are uncomfortable with the change in power that took place in Kyiv in late February and worry that the acting government does not take full account of their interests, most do not want to leave Ukraine, oppose the armed seizures of buildings that have occurred over the past three weeks, and do not feel discrimination if they are Russian-speakers. The poll also shows some interesting differences within the south and east. On the whole, residents of Kherson and Mykolayiv oblasts were much more supportive of the government in Kyiv and more strongly opposed to any kind of Russian intervention than were those in other oblasts. On many issues, Dnipropetrovsk agreed with Kherson and Mykolayiv. (Kherson and Mykolayiv are the oblasts closest to Crimea, and many residents of those regions have relatives on the peninsula.) The regions which have seen a lot of separatist activity in the past weeks, Luhansk and Donetsk, largely see the new government in Kyiv as illegal; more in those oblasts favor joining with Russia, but they fall far short of majority views. Overall, residents of the Ukraine’s south and east are concerned about the acting government in Kyiv, but regard the Verkhovna Rada (parliament) as more legitimate. Just over 50 percent of all respondents are “certain that” or “generally regard” Acting President Aleksandr Turchynov as illegally occupying his post. The government of Acting Prime Minister Arseniy Yatseniuk received similarly low marks, with 49.6 percent of respondents considering it illegal. The Verkhovna Rada, on the other hand, is held in higher esteem. Only 37 percent of respondents are “certain that” or “generally regard” it as illegal. Mr. Yanukovych’s decision to use force against protestors on Kyiv’s Maidan Nezalezhnosti (Independence Square) in February won support from 48 percent of Donetsk respondents and nearly 46 percent of Luhansk respondents. That decision did not sit so well in the rest of southern and eastern Ukraine, where a majority of respondents placed the blame for the deaths on the Maidan on Mr. Yanukovych. Yet even in Donetsk and Luhansk, strong majorities do not regard him as the legal president. When asked whether or not the rights of the Russian-speaking population were being infringed upon, 71.5 percent of all respondents said that they were not (23.1 percent said yes). Residents of Donetsk and Luhansk oblasts were much more likely to say that the rights of Russian-speakers were being disregarded, but they were still very much a minority. But a breakdown by oblast shows that, again, the grouping of Dnipropetrovsk, Mykolayiv and Kherson is on the same page, with up to 78 percent of respondents agreeing with the statement. In contrast, only about 33 percent of Donetsk and Luhansk residents agreed. Residents of Mykolayiv and Kherson oblasts were also much more likely than other regions to say that they would take up arms if the territorial integrity of Ukraine were threatened. Even the most pro-Russian regions of Ukraine are not well disposed to the idea that “Ukraine and Russia should unite into one state.” Only 8.4 percent of respondents would support that. When asked about the possibility of their oblast splitting from Ukraine and joining Russia, the numbers supporting such a move in Donetsk and Luhansk were still far under 50 percent. And only 25 percent of Luhansk and Donetsk residents were prepared to take to the streets in support of protests that called for the unification of their oblast with Russia. In Kharkiv, that number was only 15 percent. A strong majority of those polled – 60.1 percent – categorically do not support those “who, with weapons in hand, seize administrative buildings” in their oblasts. Another 16.7 percent generally do not support such seizures. Only 11.7 percent completely or generally supported building seizures. Support for building seizures was higher, though not much, in Donetsk and Luhansk oblasts, where most building seizures have taken place. While majorities in those oblasts were against the seizures, 18.1 percent of Donetsk respondents and 24.4 percent of Luhansk respondents were supportive. Significant portions (8.4 percent in Donetsk and 15.6 percent in Luhansk) were sometimes supportive and sometimes not. In neighboring Kharkiv, support for building seizures is at 10.1 percent. The trend of pro-Russian building seizures has not taken hold in other oblasts; in no other oblast does the idea of building seizures even reach support levels of 10 percent. Respondents were asked to choose the governance structure for Ukraine from three choices: a unitary state as currently exists, a unitary state with more powers given to the oblasts or federalization. Federalization was the leading choice only in Luhansk. The idea of a unitary state with more devolution of powers was the most popular in all other oblasts, reaching the 50 percent threshold in Mykolayiv, Kherson, Zaporizhzhya and Dnipropetrovsk oblasts. Strong majorities in all oblasts agreed that oblast governors should be elected (rather than appointed as they currently are). When given a choice between the two, the Russian-led Customs Union was by far the most popular choice. 46.8 percent of all respondents chose the Customs Union, while 24.7 percent chose the European Union. Fully 28.5 percent replied either that they would not take part in a vote on the matter, that it was hard to say, or refused to answer the question. The European Union was more popular than the Customs Union in Mykolayiv, Kherson, and Dnipropetrovsk oblasts (which align more with views of western and central Ukraine on this issue), while the Customs Union was the favored option in Donetsk, Luhansk, Odesa, Zaporizhzhya and Kharkiv. What the KIIS poll shows, like a recent International Republican Institute-sponsored survey, is that views in south and east Ukraine are more nuanced and diverse then the media often depicts. This can have an impact on how the crisis in Ukraine plays out and on how the Ukrainian population reacts to Moscow’s destabilization efforts.